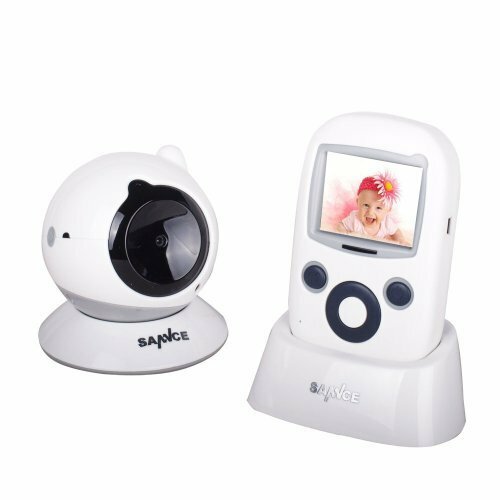 Specification>* new progressive 1/4" Color CMOS image sensor>* video resolution: 1920*1080p * lens: 3.6mm>* weatherproof: IP66, Indoor & outdoor>* double glass, hoop unique elegant appearance design, High performance color reproductions>* video compression: H.264+/H.264 selectable * encode capacity: 8*1080p lite@12fps * support 8CH 1080P lite Analog HD/analog+2ch 960 IP camera Synchronous, up to 10 channel video preview * 24 selectable Languages in DVR and 32 selectable Languages in the app including the most popular languages * video input/ output: 8CH BNC/ 1CH VGA, 1CH hemi * audio input/ output: 1CH RCA/ 1CH race * Synchronous playback: 2CH, support smart playback>* network interface: RJ45 10/100m * USB 2.0* 2 * HDD: one 3.5" Sate hard disk at the maximum 6TB capacity, support NAS and IP San network hard disk storage our intelligent security kit included: * 1× 8CH DVR, 1TB professional surveillance HDD includes>* 4× 1080P wired cameras>* 4× 60ft BNC video cable>* 1× 4-1 splitter cable>* 2× power adapter>* 1× mouse>* 1× cd * 1× user's manual 1080p home video security system-protect what matters most record longer record more: 1TB HDD =3TB had secure your family and wallet: high efficiency H.264+ video compression helps you Triple the recording time by lowering the bitrate and occupying less bandwidth, that's to say, 1TB HDD can equal a 3TB HDD with the new technology. In that way, you no longer have to waste money getting another HDD with a larger capacity. smart HDD detection with S.M.A.R.T detection and HDD bad sector detection, you will be aware of the hard disk failure in time. We apply the intelligent hard disk detection function to the system to make sure it is always in a perfect working state and let problems or exceptions be found and solved timely. 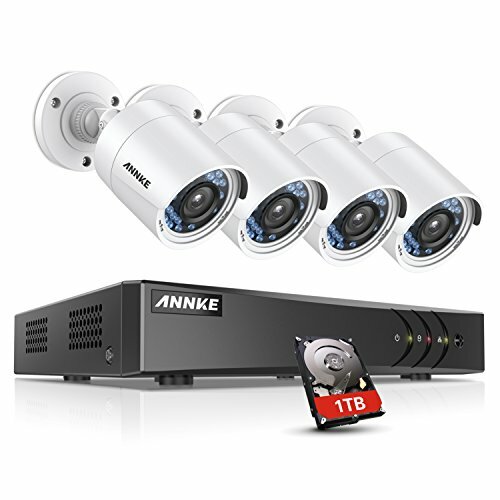 quick remote access - connect your tablet or smartphone to your system with ANNKE free app via QR code scan. scan the QR-Code to download the ANNKE View app and get easy remote control over the system wherever you are. 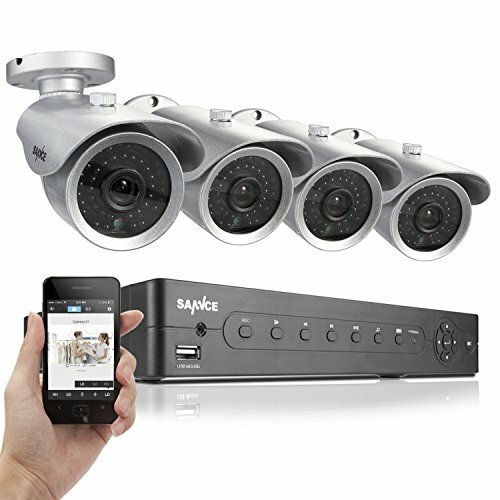 With smart phone, tablet or computer in hand, you can monitor your home and business no matter where you are. The user interface of the app is designed to be intuitive and easy-to-use. For example, the timeline at the bottom of the screen allows you to jump to any moment of the video smoothly. smart email alert with snapshots thanks to the smart Motion-activated email alert function, you can get informed by email when unexpected movements are detected by cameras. Moreover, alarming emails now come with snapshots as attachments that you can see exactly what happened without the need to open the app. 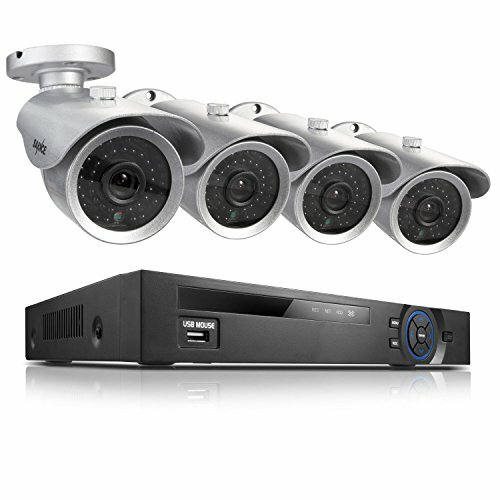 And with customizable motion detection regions, you can keep closer eyes on those areas that are vulnerable in your house. 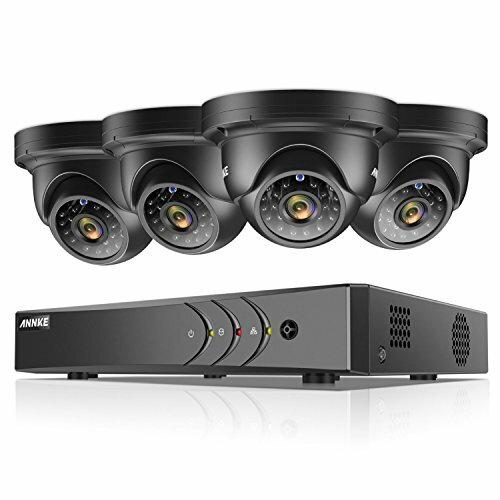 this self-adaptive video recorder supports AHD, TV I, CVBS and IP cameras connection without needing a converter, with exceptional 500M zero-delay Coaxial transmission. 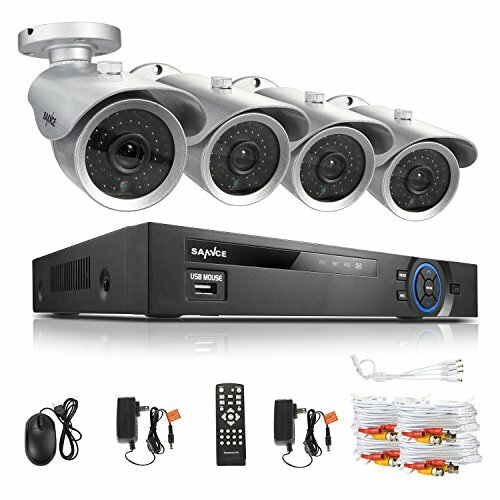 Specifications:Analog video input: 4-ch BNC interface (1.0Vp-p, 75 Ω) HD TVI input: 720P,1080P AHD input: 720P CVBS input: SupportIP video input: 1-chUp to 960p resolutionAudioinput/output: 1-ch RCAHDMI/VGA output: 1-ch, 1920 × 1080/60Hz,1280 × 1024/60Hz, 1280 × 720/60Hz, 1024 × 768/60HzVideo compression standard: H.264+/H.264Encoding resolution& Frame rate: 1080p lite/720p: 25fps (P)/30fps (N); 960H: 25fps (P)/30fps (N) Stream type: Video & Audio/VideoSynchronous playback: 1-ch USB interface: 2 × USB 2.0SATA: 1 SATA interface Capacity: Up to 6 TB for each diskImage sensor: 1/3" Color CMOS sensorVideo Resolution: 1280*960 Lens: 3.6 MMNumber of Infra-Red LEDs: 24Day and Night Function: Support IR-CUTNight Vision Distance: Up to 66ft/20mWeatherproof IP66Indoor / OutdoorEasy Incident Video LocatingNo need to sit before the monitor and scroll on the timeline trying to find out who touched the muffins during your absence. Smart playback allows you to mark out specificsearching zones on screen and leads you straight to the moments of motion in those regions while speedingthrough unimportant clips.Set Your Recording ScheduleSchedule your cameras to work for you whenever you want. 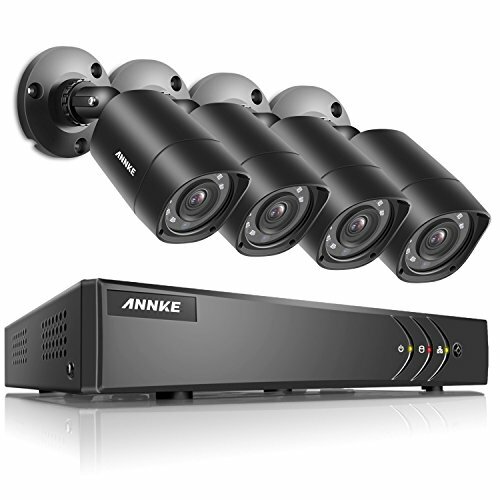 Set them to start and stop recording based on time, alarm or movements according to your surveillance needs. Considerable amounts of storage space are saved thanks to flexible recording modes.Customizable Smart Email AlertStay vigilant and keep closer eye on those vulnerable areas in your house by customizing your own motion detection zones. When they are invaded, the smart motion-triggered alarming email with images makes sure youcanalways stay in the loop.